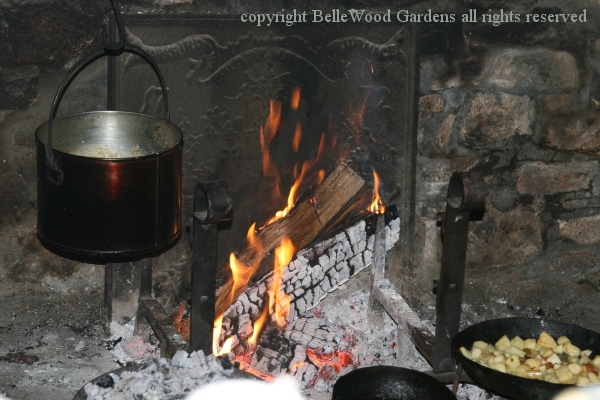 There was an October presentation of open hearth cooking at the Bouman-Stickney Museum in Readington Township, New Jersey. And now there's another. 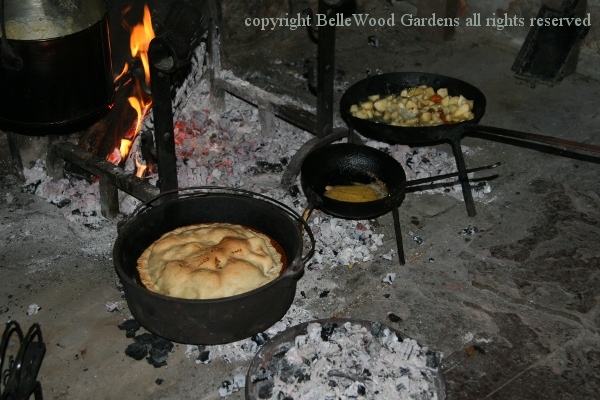 Connie Unangst is making pease porrige, an apple crumble, a meat pie. Busy, busy, slicing, mixing, keeping hot the fire. It's not quite the same as turning on the oven and letting the thermostat take care of keeping it hot. 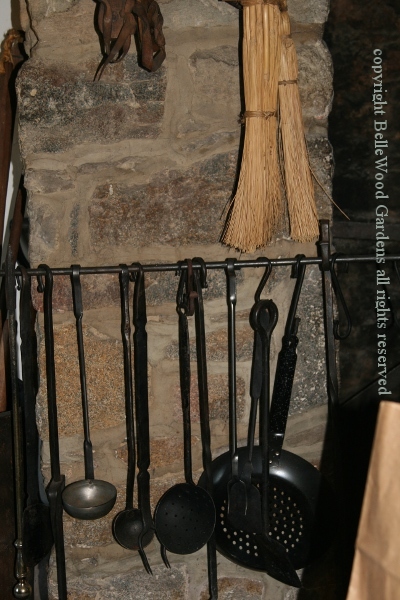 The kitchen here at Bouman Stickney has lovely hand forged hooks, sturdy laddles, a 2-pronged fork, a skimmer / sieve - kitchen tools for working with the walk-in hearth. 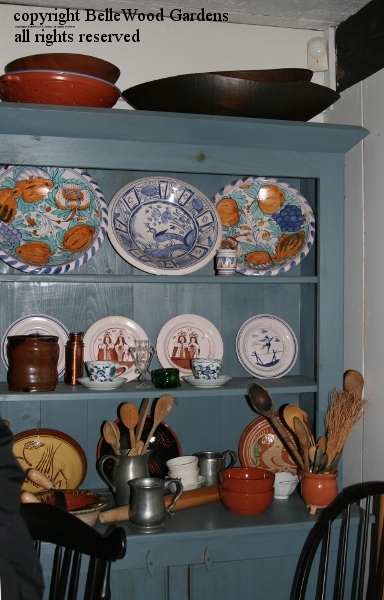 And there's a beautiful dish cupboard too. Much of what was served would have had to been produced on the farm: meat, dairy, eggs, vegetables, and herbs. 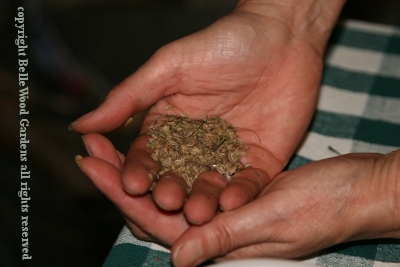 Fennel seed, for example. What wasn't used fresh would have been preserved in one way or another. Pumpkin, for example. It could have been sliced, then threaded on coarse string and hung up to dry. 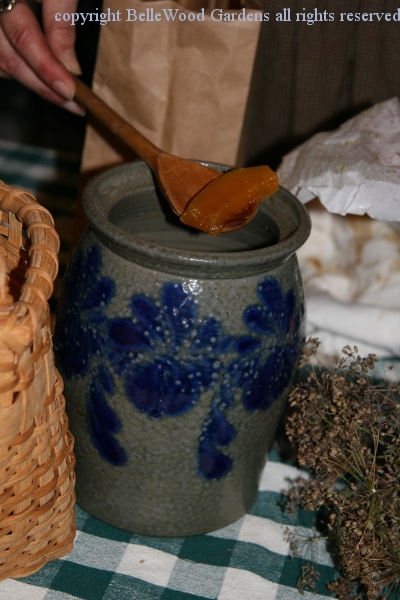 Or, preserved with sugar syrup as a sweet for use in puddings or such. 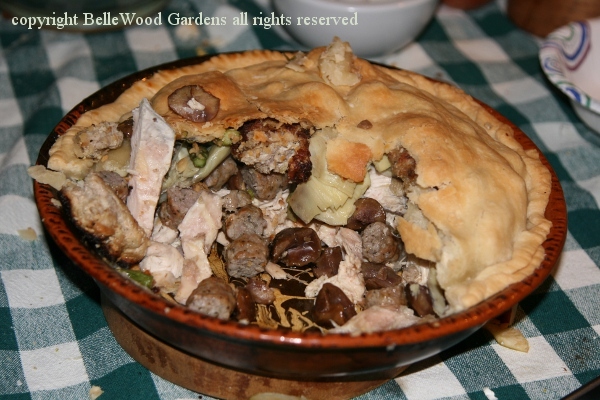 A meat pie, with chicken and meatballs, mushrooms, and beutifully browned pastry crust. 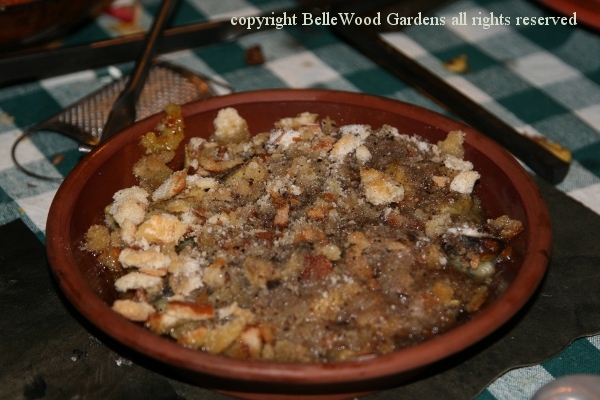 The apple crisp has a topping of somewhat stale breadcrumbs that soak up some of the juices and bake to an appetizing brown crust.